Clifford Smith, more commonly known as Method Man, has had one of the more interesting careers in hip-hop. In addition to his successful solo music career and his continued collaboration with East Coast supergroup the Wu-Tang Clan, he’s also made good for himself on the acting front. He had recurring roles in two classic HBO prestige dramas (The Wire and Oz), racked up a number of solid appearances in a slew of films (Keanu, Garden State), and even briefly co-starred in his own Fox sitcom with Redman. 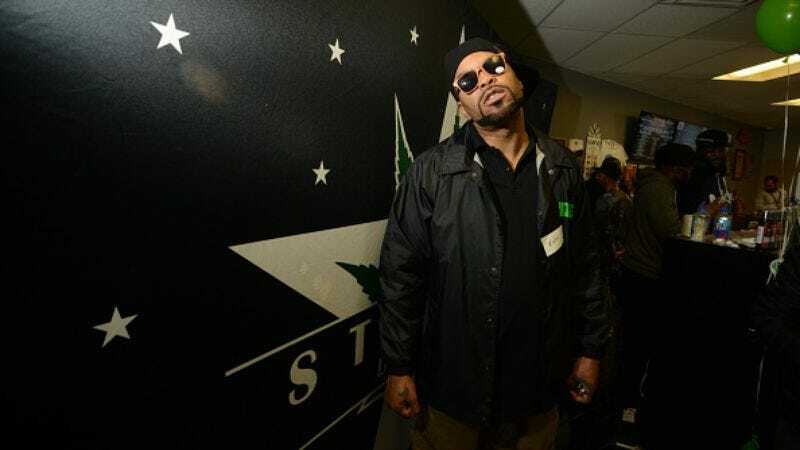 Ever looking for new ways to be method-Tical about getting his fingerprints on every aspect of the entertainment industry, Method Man is now branching out into comics. Complex reports that the rapper-actor has written a Christmas-themed issue of Ghost Rider for Marvel. This is not just some random title handed to Meth for a promotional opportunity. While Robbie Reyes is the current incarnation of Ghost Rider, the first flaming skull head introduced to readers was Johnny Blaze, a stunt motorcyclist who sold his soul to arch-demon Mephisto to save his father’s life in The Exorcist-infused early ‘70s. The name “Johnny Blaze” might also be familiar to discerning hip-hop aficionados, as it was among the high number of aliases that Smith used in his tenure as an omnipresent rapper of the ’90s. So, it seems that this comic—co-written and illustrated with Anthony Piper (Trill League)—was an occurrence long foreseen in the fires of hell.